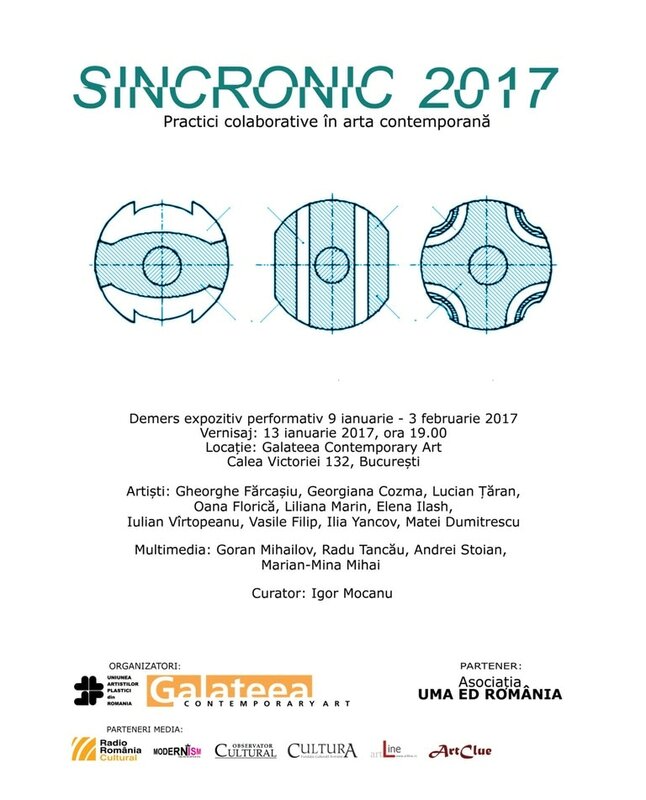 Galateea Contemporary Art Gallery in partnership with UMA ED ROMÂNIA Association are pleased to invite you at the openingg of the exhibition SynChronic 2017 / Collaborative Practices in Contemporary Art which will take place on Friday, 13 January 2017, at 7:00 pm. The Syncronic Project was conceived last year as an intensive experimental laboratory of collaborative art in difficult means of expression. In the space offered by Galateea Contemporary Art Gallery, curator Igor Mocanu suggests a new approach of the Project. Traditionally speaking, in Romanian culture, ceramic artists have seldom tried to cooperate with sculptors, and this happened mostly in the 70s and 80s, during the creative workshops at Medgidia. Moreover, the relationship between them was rather problematic: to be too sculptural, too objectual and less decorative has always been an accuse the sculptors brought to ceramists; the same, sculpture's decorativism was motivated by the so-called, until recently, arts of the fire. Nowadays, when both media cooperate with the new ones, starting with photography, sound and film and ending with conceptual performance, t o resume the former collective-work relationship is the more provocative, the more it borrows something from the morphosyntax of restoration or reenactment."